Half-Bath Mostly DIY Transformation: Finished! After. 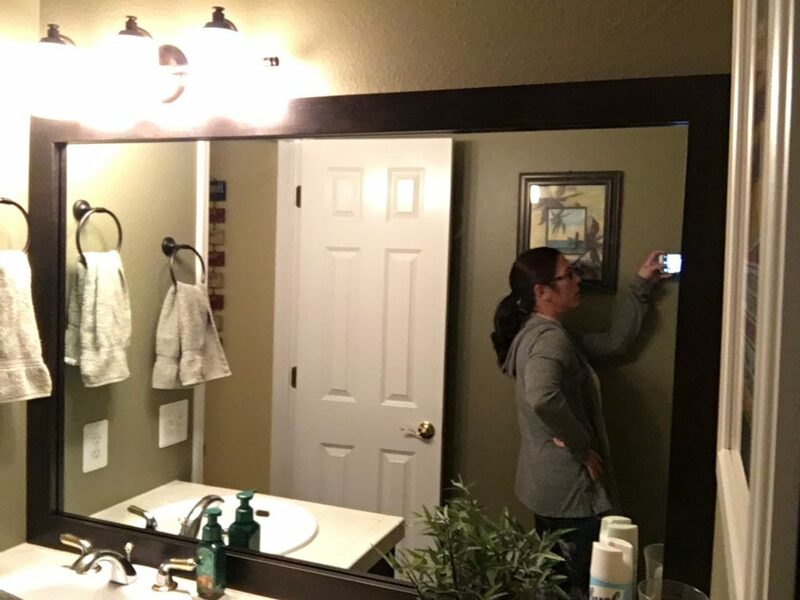 To get these views, I’m taking selfies with the camera in the corner of the bathroom. We are finished with our half-bath upgrades (and hopefully home improvements in general for a while)! 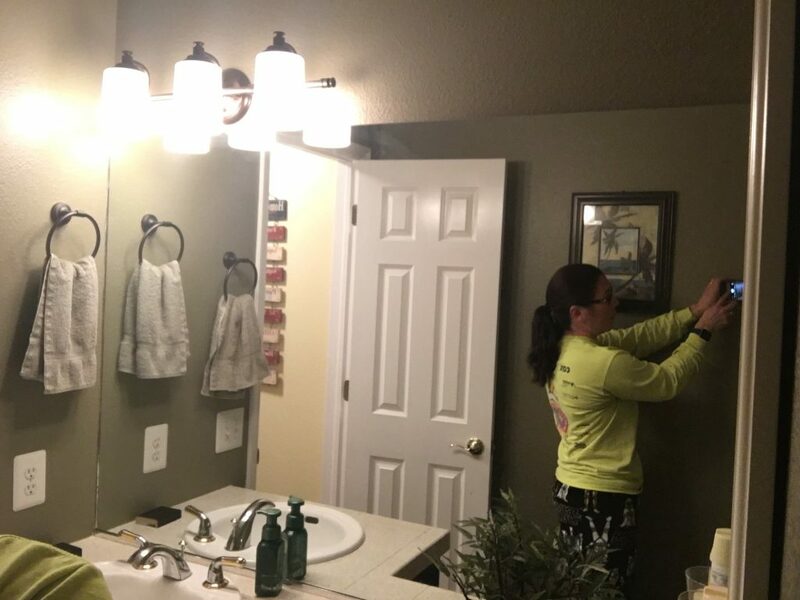 Over the 3-and-some-change years we’ve lived here, we’ve done an assortment of little things to make our main floor half-bath look a little nicer. DIY Stairwell Transformation: All Done! 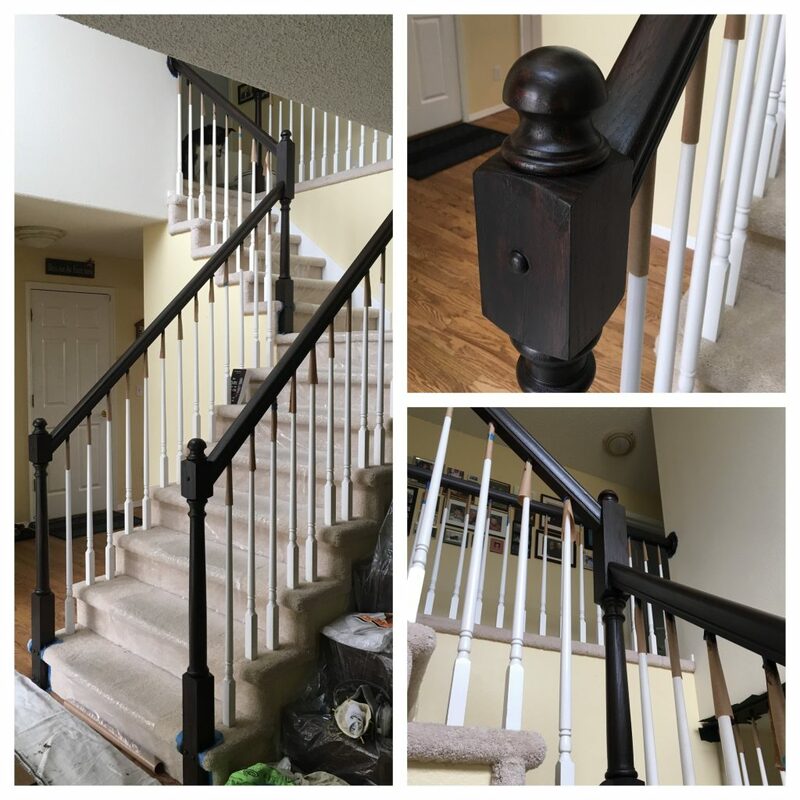 Back in October, while the contractors were working on the bathroom, Dave and I stained the banisters of our stairwell. Wow what a difference it made! This is just before taking off the masking and putting on the polyurethane gloss coat. The half bath as of today. A bunch of small improvements have turned it into an elegant space we aren’t embarrassed to show to visitors. There’s one more task before I’ll be truly happy with it…an updated mirror. If you thought the upstairs bathroom was small, well, the half bath on the main floor of our house is REALLY small! 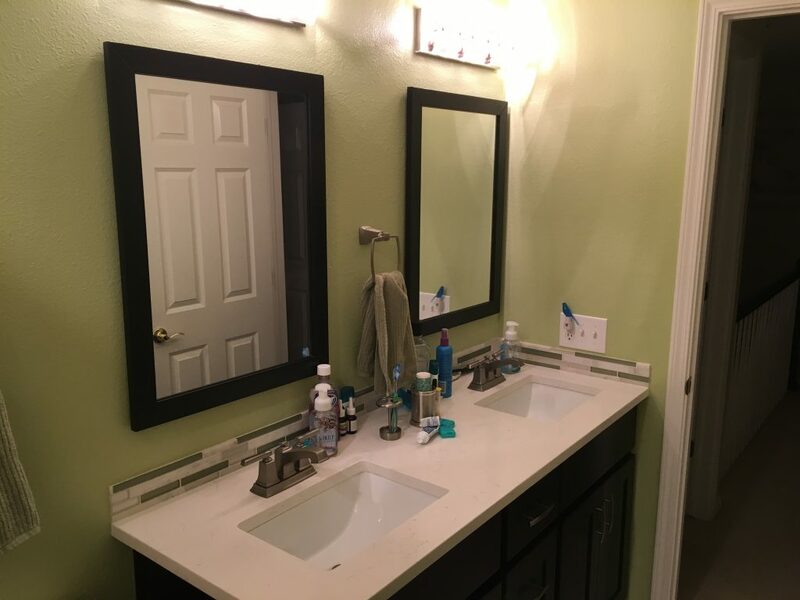 Nonetheless, we were frustrated with the white tile counter—mostly because of the grout—and went with a similar resurfacing as the upstairs bathroom. But a different color. Those little touches like faucets, mirrors, and lighting took us months to figure out. We are all very happy with the green color that Timmy helped to choose. 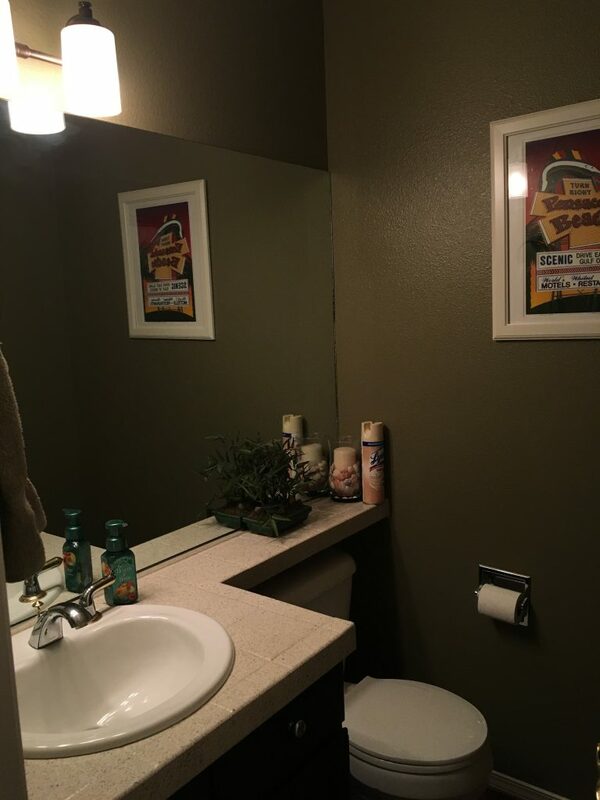 This past week we finally were able to put the finishing touches on the upstairs bathroom. At the last minute (while I was in Hong Kong) the plan for the bath towel bars changed: we decided to find a double-towel-bar version in the same design. Installing it was trickier than we thought, and some wall repairs had to be made. In addition, we had the bathtub and tile around the bathtub resurfaced as an alternative to replacing everything in that space. It’s more economical, and besides, the existing bathtub was VERY GOOD quality. There were some chips on the enamel that the resurfacing resolved. We’ve been doing a lot of little updates around the house lately. The most recent one I shared was with the fireplace last spring. I’ve been working full time off and on since July, but now I have a break for a couple months and I can return to our “honey-do” list. 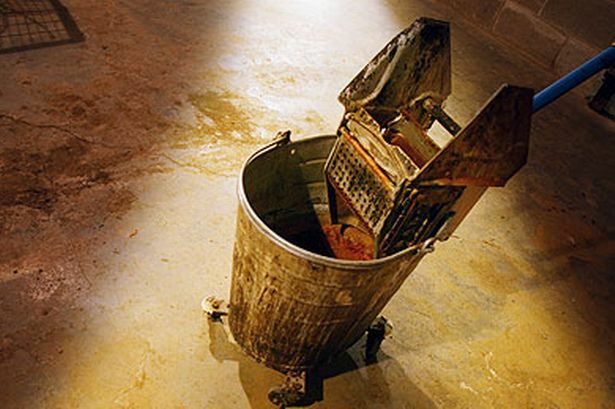 I’m doing a little housekeeping in my blog world this week. One of the things I was trying to straighten out turned into a monumental mess last week, for which I apologize. 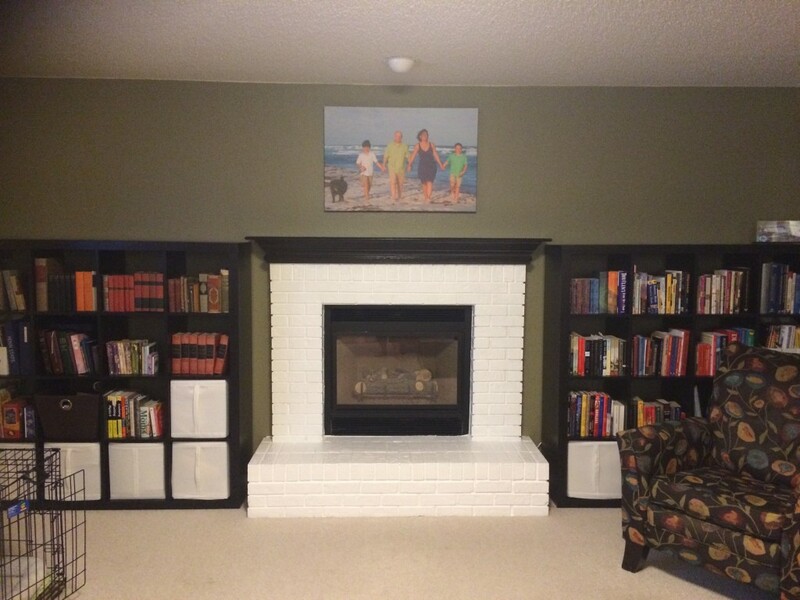 DIY Fireplace Transformation: The Reveal! The final result. I LOVE it! We have a few things to still put back but we are waiting for the mantel to completely dry. Tonight Dave finished up the fireplace paint job. Today’s work was mostly just correcting the bleed-under at the tape lines. (That’s a whole other rant: we have tried EVERYTHING and can’t seem to find a masking tape that can completely avoid bleed-under. We invested in the good “Frog Tape” and we’ve tried the 3M “Blue” tape. Those run $6-8 per roll but I think we do a better job just not taping at all and being VERY careful. /rant). 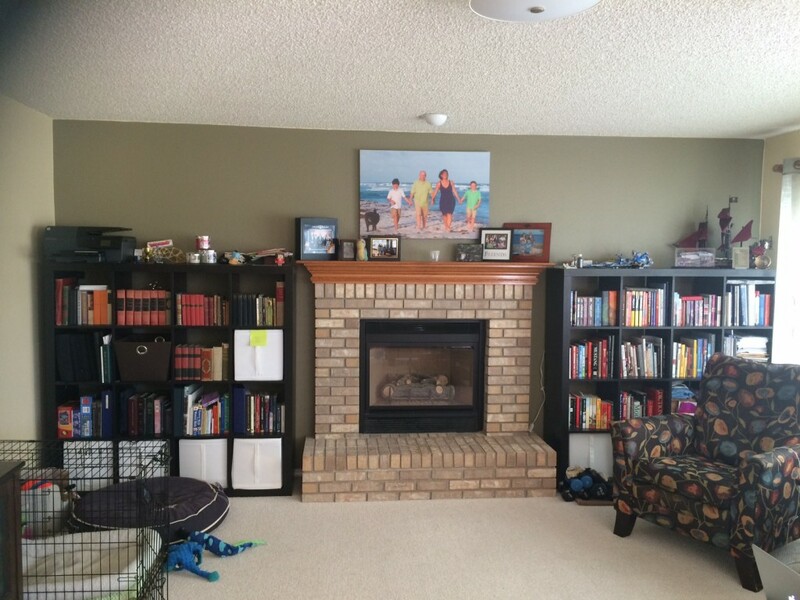 Jacob thought the fireplace was looking very bright as Dave was working on it, but once we put the bookcases and white baskets back in place, he seemed to warm to the color. From May 2013. No, your eyes aren’t playing tricks on you. 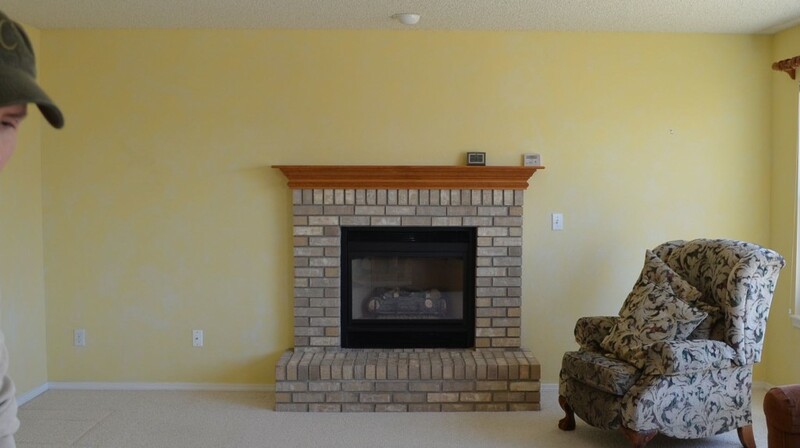 The walls were “blotchy yellow” on purpose. Some sort of feather painting thing, I guess. Many thanks to my dear husband for making this happen. 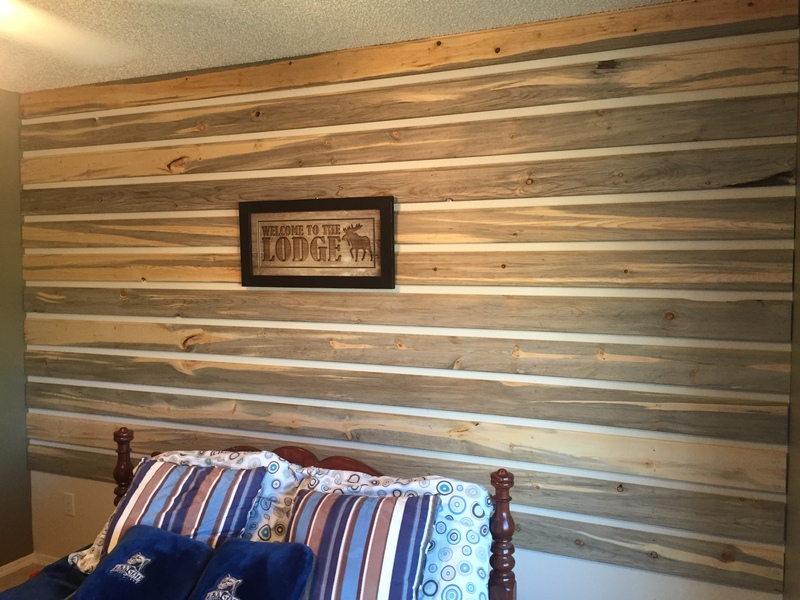 DIY Guest Room Transformation: Planking the Wall! I’m not sure it’s actually called “planking”, since my first thought would have gravitated towards this kind of planking. But it’s what I’m calling the process Dave and I went through today, putting the planks up on the wall in our guest room. 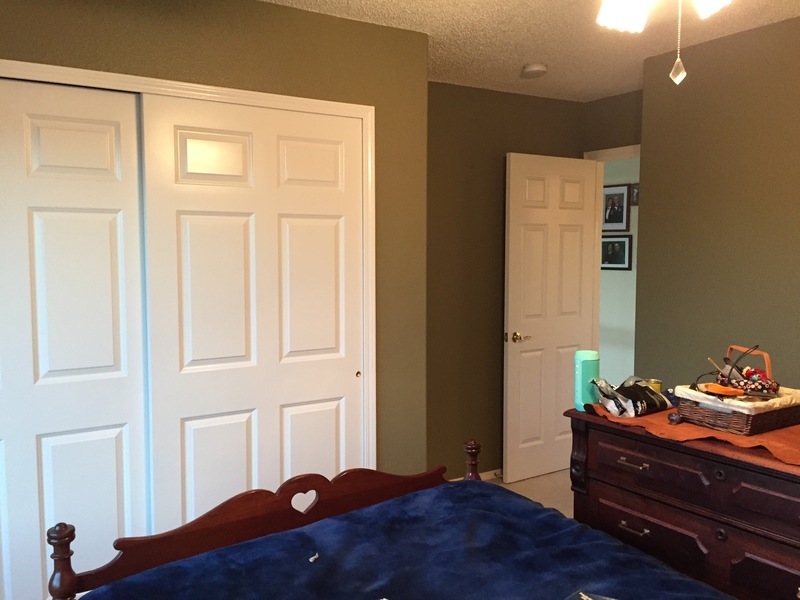 Most of the room is this color: Behr Ultra Premium Plus in a color called “Dry Pasture”. We couldn’t have asked for a more perfect day to paint a bedroom. Even though it’s mid-October, today Colorado Springs hit a high temperature of 87F, shattering the record for this date by FIVE DEGREES! We were able to open the windows and let the warm air quickly dry the walls and we were able to put both coats of color on the walls in about 4 hours.